The chief executives of some of Europe's biggest truck manufacturers have called for more to be done across the board to cut carbon dioxide emissions from the road transport sector. At a press summit for the European Automobile Manufacturers' Association (ACEA) in Germany this week, it was confirmed that manufacturers are on track to reduce fuel consumption from new vehicles by an annual rate of 1.3 per cent, or 20 per cent by 2050. However, they pointed out that by changing the focus to include more than just new HGVs, emission levels could be lowered even further. Chief executive of Daimler Trucks Wolfgang Bernhard commented: "Trailer designs, alternative fuels, transport operations and infrastructure also play a decisive role. All relevant stakeholders should be mobilised to work on a fully integrated approach to CO2 reduction in Europe's transport industry." Indeed, research institute Transport & Mobility Leuven calculates that if such an integrated approach was put in place between now and 2020, CO2 levels could be cut by an annual rate of 3.5 per cent, more than double the existing target. Mr Bernhard insisted that this is the best way to cut harmful gases from Europe's streets and urged the freight industry to take action. Ways of lengthening truck trailers are already being investigated in Britain and it could be that if pilot projects are successful, longer vehicles may become the new norm for our roads. 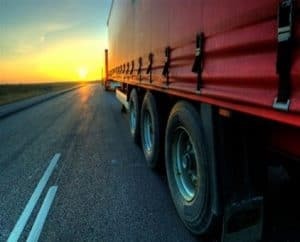 The UK has ambitious targets to reduce greenhouse gases to 80 per cent below 1990 levels by 2050 and according to the Freight Transport Association (FTA), logistics accounts for between six and seven per cent of current emissions. However, CO2 emissions have remained stable from HGVs since 1995, thanks to a range of projects designed to curb the environmental impact of transporting goods by road. The FTA continues to work with the haulage industry to reduce climate change.